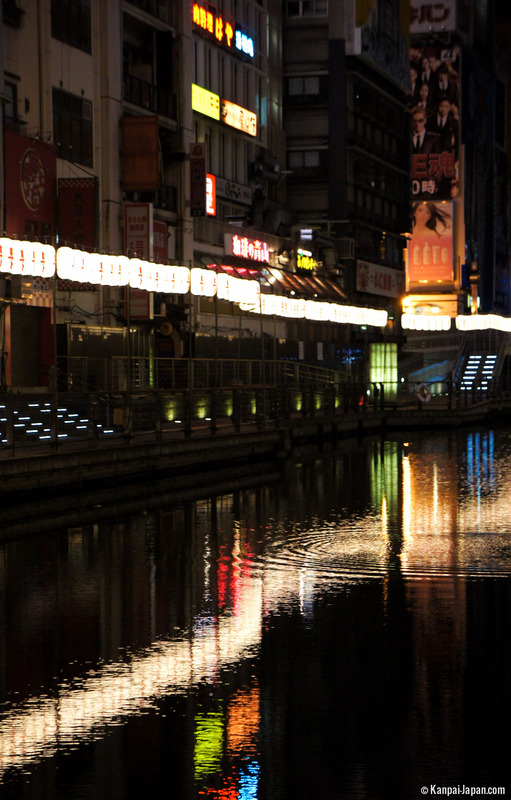 Dotonbori is a popular street along an eponymous canal, located in the southern district of Namba in Osaka, Japan. As a tourism mecca day and night, the promenade is highly entertaining, between its stores, game centers, restaurants and bars. The walking street, about ten steps away. Next door, the eponymous bridge is the largest of the city, at almost 44 meters. While the sector celebrated its 400th birthday in 2015, its etymology comes from the combining of Doton, the name of the entrepreneur who initiated the first construction work, and bori, meaning "canal" in Japanese. 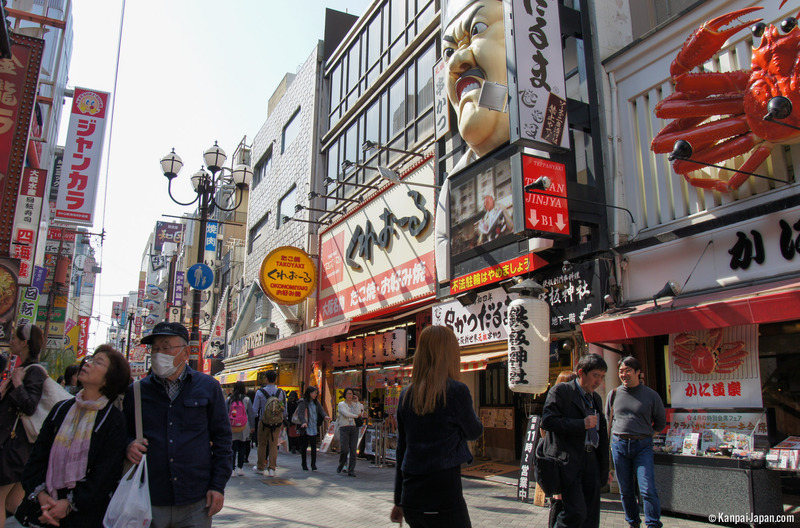 Restaurants, from the smallest takoyaki or okonomiyaki stores, as we can see by the dozen in the megacity's popular districts, to the gigantic Kani Doraku, a famous and crowded crab restaurant with its iconic, huge and moving facade that is unmissable symbol yet not alone in competing for the most lively entrance. In this higgledy-piggledy area made possible by the craziness of Osaka, youngsters with unexpected fashion styles and groups of tourists wander around and participate in this unique and impossible-to-copy animation. 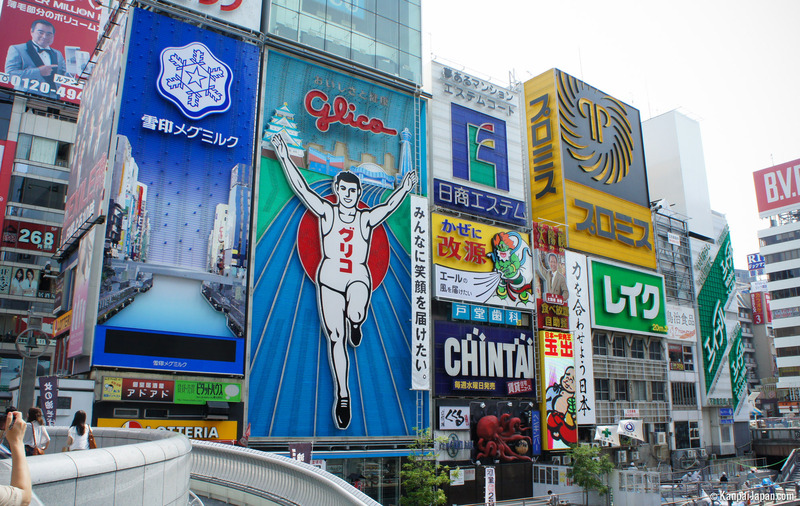 One thing for sure in Dotonbori: you are going to be amazed! 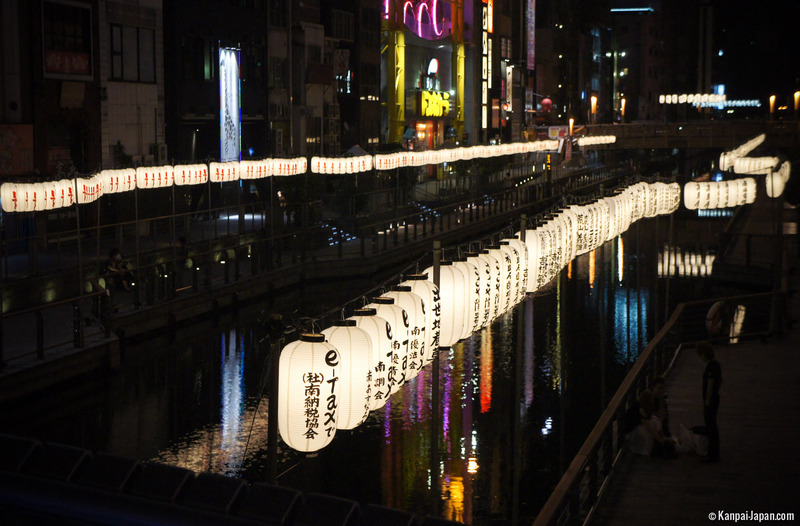 Along the banks, never-ending bright advertising is mirrored in the canal, which is sometimes ornamented with lanterns, creating a specific contrast to be appreciated at night. 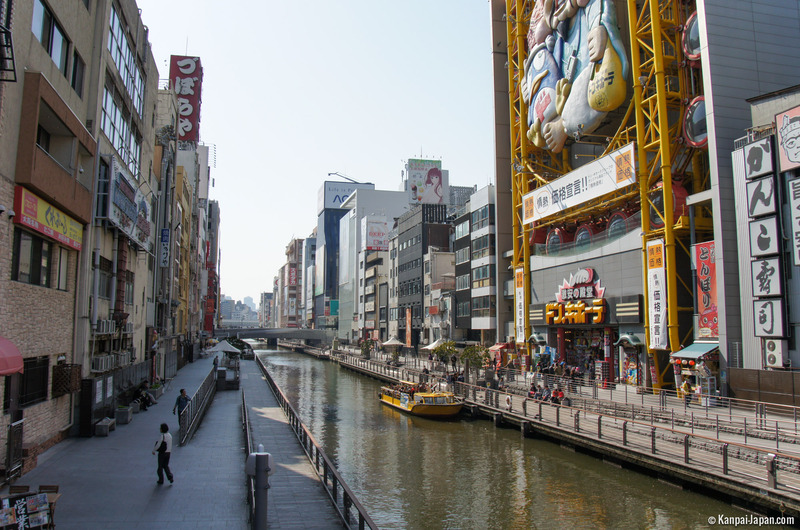 Short cruises on flat boats never end, while wanderers stop under the famous "Running Man" of Glico. 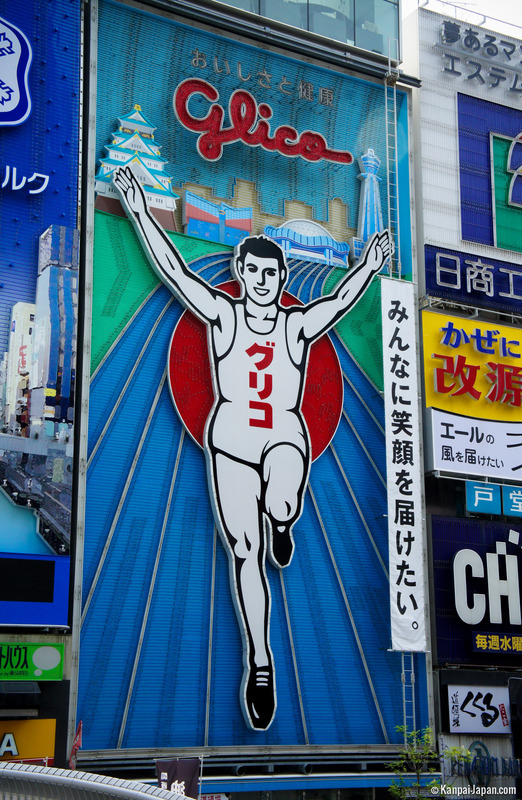 Set in 1935, this 300 m runner on its eternal blue track has imposed himself as the massive symbol of the sweets manufacturer, known for Pocky and Pretz biscuits. In October 2014, the sixth "generation" of the giant poster was inaugurated. Made with neon lights, it surprised many local inhabitants, who easily became used to it, in the never-ending storm of Dotonbori.